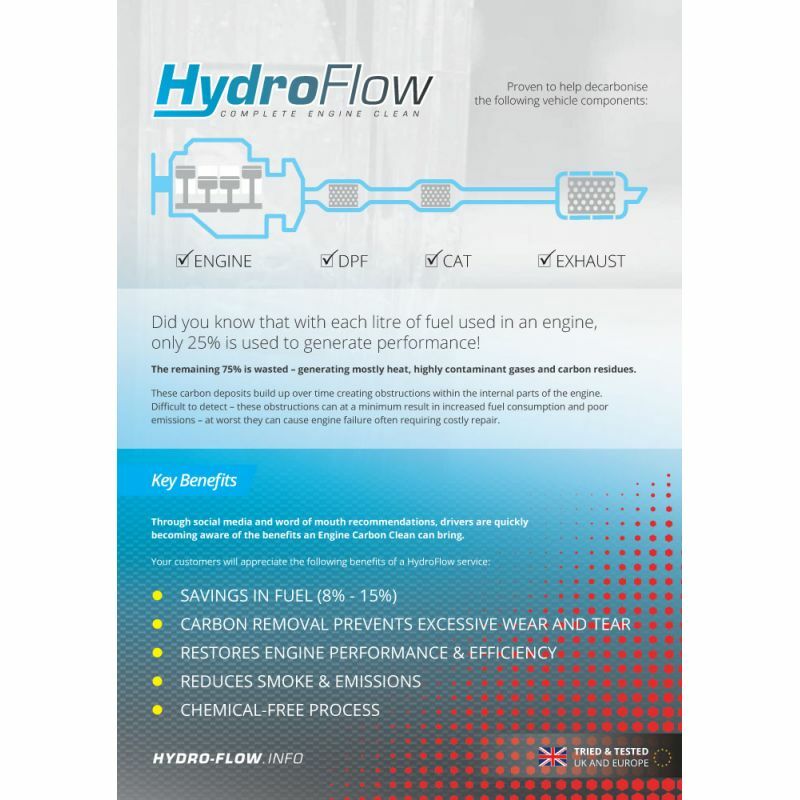 The Problem: Carbon buildup over the course of a vehicle's lifetime can cause a wide array of vehicular problems including: smokey exhaust, lumpy idle, flat spots, reduced throttle response, increased emissions, reduced MPG, DPF/EGR valve issues, sticky swirl flaps, sticky throttle body and sooted up waste gates. 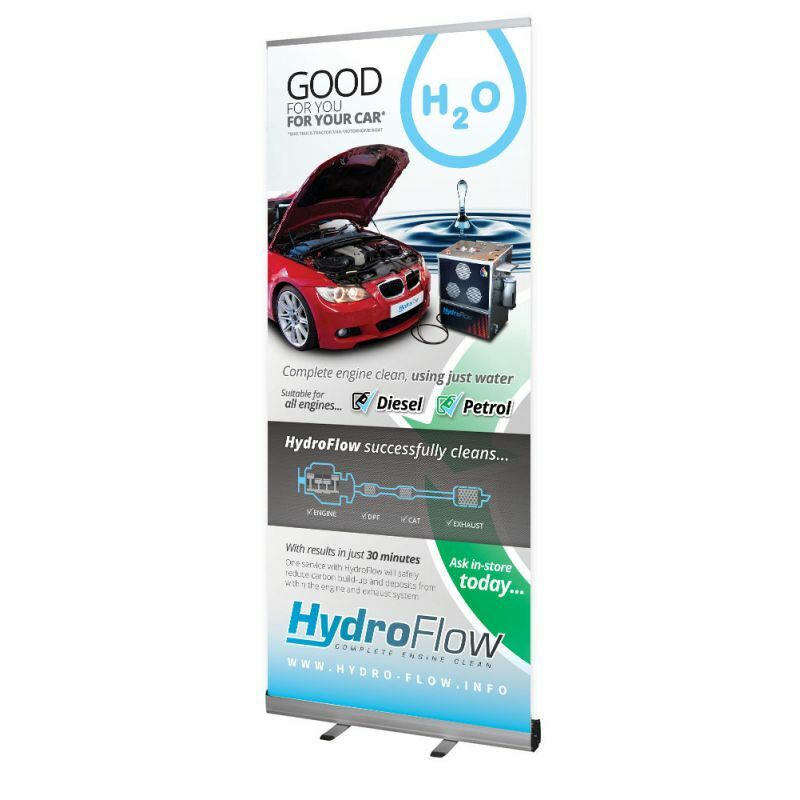 In many cases, these issues can be the difference between an MOT pass and a fail. 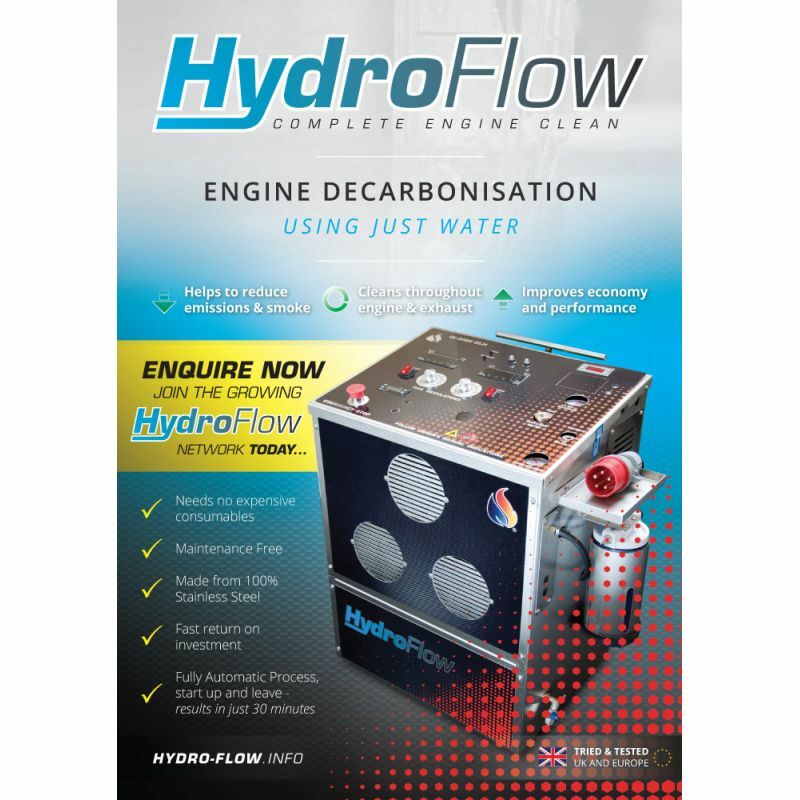 So essentially, the dirtier a vehicle is, the greater the effect a carbon clean will have in restoring the vehicle's lost performance and efficiency. 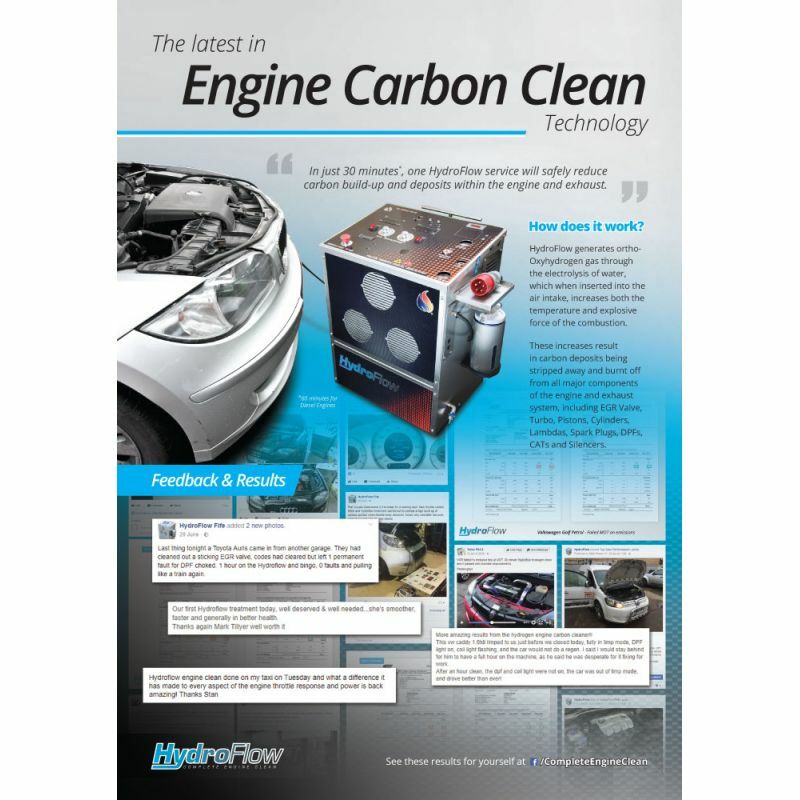 Carbon build up tends to be much worse in diesels and high mileage vehicles. 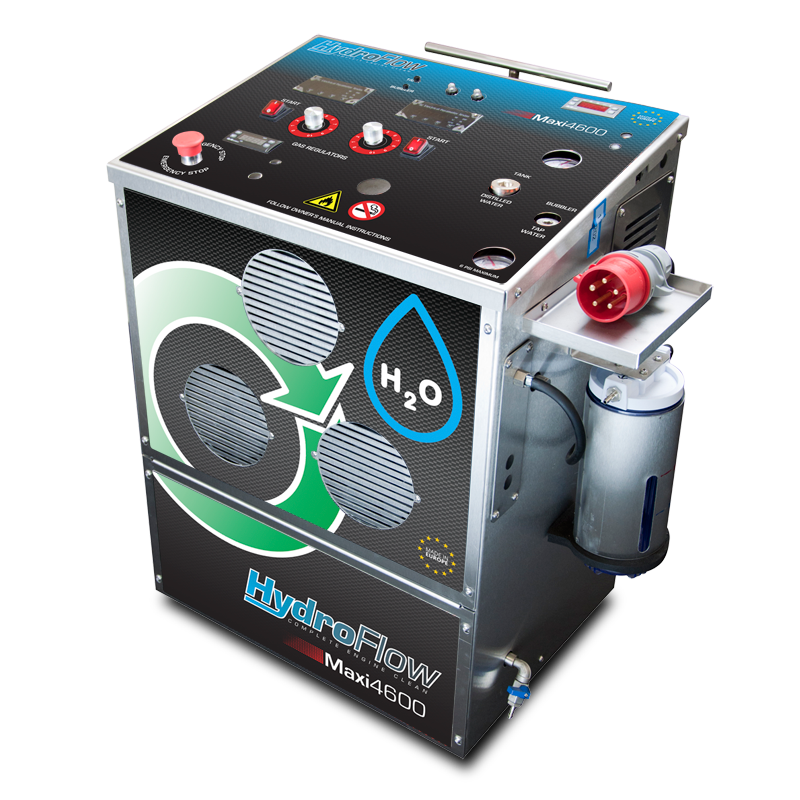 Hydroflow Maxi: The Maxi is our most powerful Hydroflow and produces 60 litres of gas per minute. 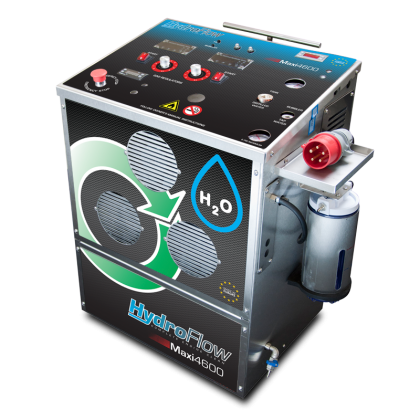 The Solution: HydroFlow's signature, chemical free cleaning process has been proven to help reduce emissions and smoke for both Petrol and Diesel vehicles. 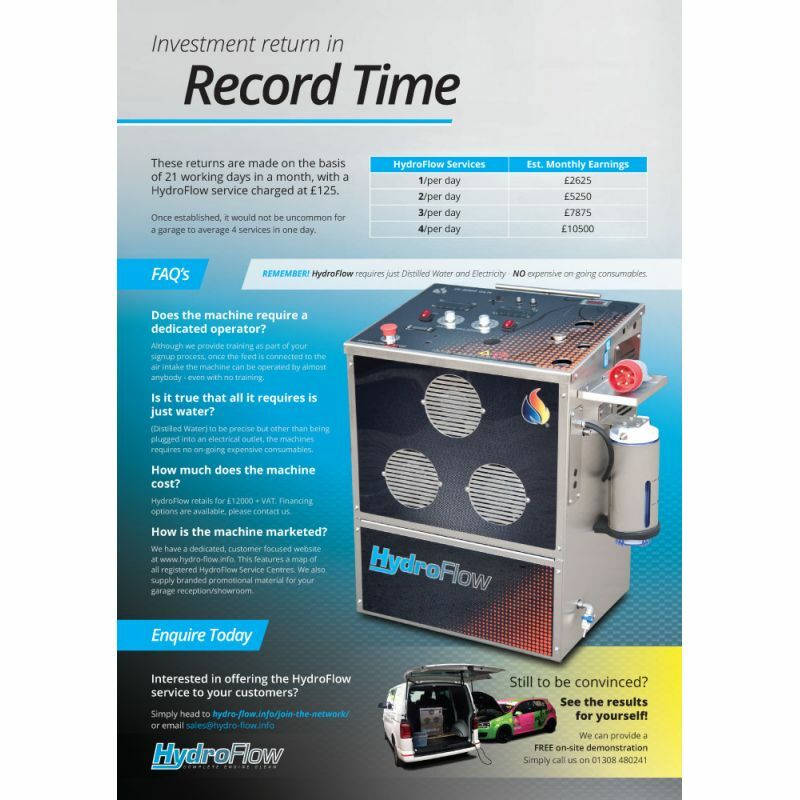 The simple-to-operate, maintenance-free machine offers the most effective carbon cleaning solution on the market - drastically reducing carbon deposits and buildup in just 30 minutes. 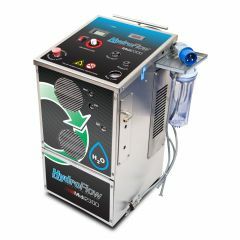 No expensive consumables required - simply top up with water, plug in and start the process.